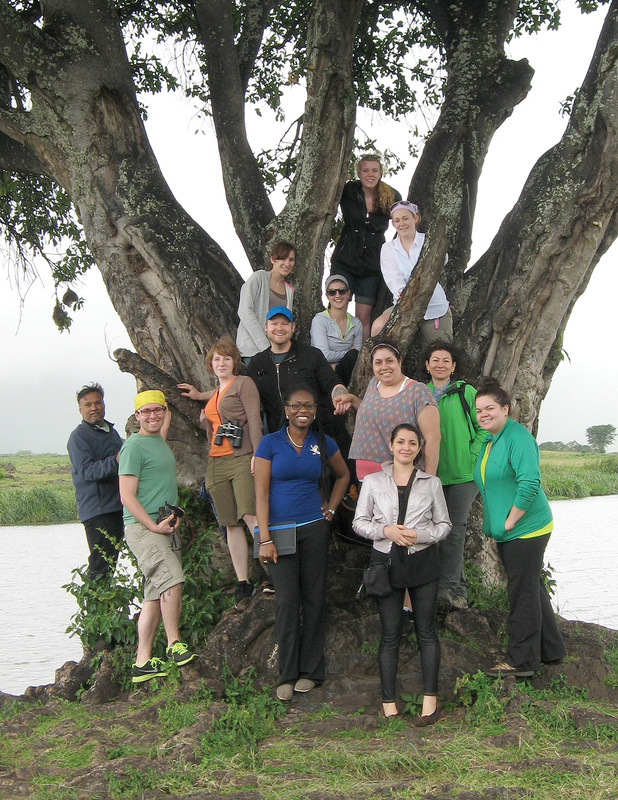 Professor Norbert Cordeiro (far left) with Tropical Biology and Conservation students at a wild fig tree in Tanzania, 2013. A massive fallen tree blocks the only road to Mount Nilo, temporarily halting our team’s field visit to this remote, lush rainforest. It is the early morning of Jan. 22, 2017. Though I have been to Tanzania on a number of occasions to prepare for trips with Roosevelt students taking my Tropical Biology and Conservation class, this is the first time in 22 years that I am returning to the Nilo Nature Reserve. Together with colleagues Dr. Henry Ndangalasi from the University of Dar es Salaam, Victor Mkongewa, and Martino Joho of BirdLife Tanzania, I am certain the trip will be less about nostalgia and more about protecting the rainforest. Emmanuel Mgimwa of BirdLife Tanzania (far right) demonstrates how to tag a bird for field study, 2016. Pictured from left are students Brittney Austin, April Aloway, Wenke Dahl; Henry Ndangalasi, Nickson Ndangalasi; and professor Kelly Wentz-Hunter. As conservation biologists, we are investigating how disturbance of the forest by local communities, including logging and farming, impacts the area’s globally endangered animals and plants. The fallen tree throws a bump in our travels that could easily delay us by hours or days. However, being Tanzanian, my colleagues and I are all too familiar with the Swahili motto hakuna matata [no worries]. One way or another, we understand we will eventually make our way onward for the last hour of the trip to our camping site. All we need is a bit of patience, luck and the knowledge that an obstacle is only an obstacle if you let it be one. Hardly 15 minutes later, along comes a noisy boda boda, a local motorbike taxi, the loud mechanical whirring of the engine drowning the rainforest’s melodious sounds of birds, shrills of crickets and tinkling of tree frogs. For a time, the boda boda, too, is stopped by the fallen forest giant. Working as a team in typical Tanzanian fashion, we cut large tree branches and thick lianas that snake around the fallen tree. These woody vines use the tall trees to get to the forest canopy, only in this case they are to die with their fallen host. A narrow space is carved away from a corner below the fallen tree, large enough to allow slanting boda bodas through with a little pushing and pulling. One passes under with a passenger aboard, but the driver has given us two numbers of other drivers to call by cell. Victor calls, negotiates the fees, and within another half an hour, we leave our land rover behind, squeeze under the fallen tree, hop onto boda bodas with equipment, food and supplies, and head to our campsite. My initial visit to Nilo in 1994 was the first time that Tanzanian biologists had visited the East Usambara Mountains since early exploration in the 1920s. On that trip, we rediscovered the endangered Tanzania mountain weaver, a bird that many believed was extinct. We also obtained the first record of the long-billed tailorbird, one of the most critically endangered species on the planet. This bird is found only in Tanzania’s East Usambaras, and is one of the reasons I returned to Nilo in January. Our assignment was to locate tailorbird territories found earlier by the BirdLife field team in 2009, and to gauge the condition of the bird’s habitat. Climbing steep slopes and traversing about 15 miles a day for close to two weeks, we explored all 19 known territories, and discovered three new areas where the bird lives as well. My involvement in this conservation effort is multi-faceted. I serve as BirdLife Species Guardian for the tailorbird (an honorary position), training Tanzanians in field-research techniques and collaborating with various partners and stakeholders on tangible strategies for conservation of this rare species. Since 2005, my guardian work has allowed me to travel home to Tanzania at least once a year, giving me the opportunity to reconnect with family, friends and colleagues. These trips also reignite my love for nature and people, paving the way for development of sound conservation strategies for the East Usambaras. I have developed important relationships in this remote area. It is not near the foothills of Mt. Kilimanjaro, Africa’s highest mountain, where I was born and raised. However, I have found the East Usambaras to be my home away from home, and the ideal place to engage my students in tropical conservation. Perhaps there is an emotional attachment linked to raising my daughter for the first two years of her life in the East Usambaras, where her main toys were chameleons and tree frogs. Perhaps it is because the village we spend most of our time in is called Amani, which means “peace” in Swahili — a way of life embedded in the village’s aura, culture and landscape. No matter my personal reasons for attachment, one thing is certain: Tanzania needs all the help it can get. Approximately 65 percent of the country’s nearly 50 million people live below the poverty line. Given this circumstance, it isn’t surprising there is pressure on natural resources, like the rainforest, which has led to deforestation rates equivalent to the loss of 400,000 football fields per year over the last two decades. Deforestation is pervasive in the East Usambaras, an area rich in flora and fauna found nowhere else in the world. We must make an effort to preserve this endangered place that is tied to local livelihoods and the environmental health of our entire planet. It is a calling we cannot ignore. Collaboration and cooperation with others are key to preserving this environmental treasure, and my research, which frequently includes Roosevelt students, as well as my position as a species guardian, have allowed me to work with amazing people and organizations from all over the world. Because of our efforts, I view the world as connected in inter-disciplinary ways, from professionals to local villagers, conservation managers to researchers, students to trained academics, and followers to leaders. It is also a world where we work together to curb and remediate environmental destruction, at the same time always considering what is at stake for those who must try to get by in one of the world’s poorest countries. With all of this in mind, I created an experiential learning course for Roosevelt students called Tropical Biology and Conservation 369-469. Since 2013, three classes totaling 40 students have visited the East Usambaras. On these expeditions, my students learn about complexities involved in conserving the savannah ecosystem of the Ngorongoro-Serengeti; they then join local communities in efforts to combat rainforest destruction; and they plant thousands of tree seedlings that can help reverse deforestation. 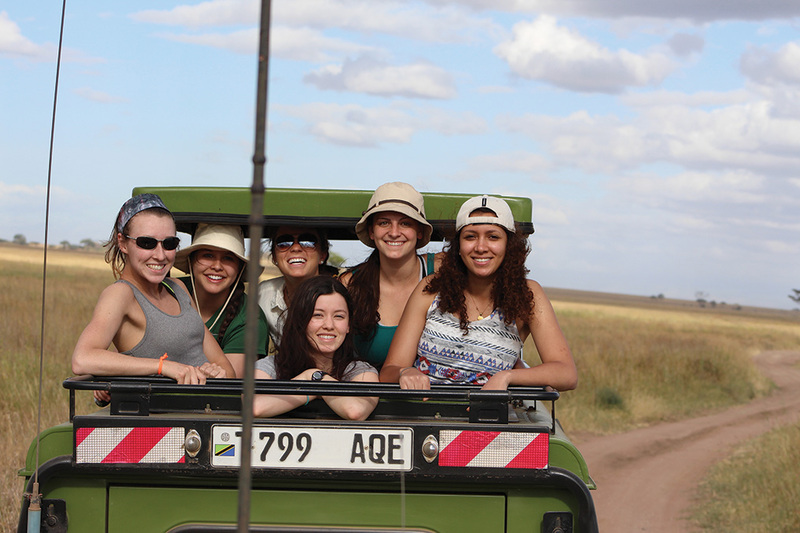 Roosevelt students (from left) Olivia Downs, Maggie Dobek, Arielle Nausieda, Sarah Callaghan, Carli Schlaker and Najoua Alioualla travel into the Tanzanian savannah. Learning should be about success, failure and the unexpected, as well as how to handle such outcomes in academics and in life. In this course, I want students to be aware that travel and fieldwork require flexibility. Tanzania is a place that operates in a completely different cultural context than many of us understand. I inform my students in the classroom before we leave that they will have to work outside their comfort zone. I ask them to consider that “time” as they know it in the developed world isn’t perceived in the same way where they will be working in Tanzania. I encourage them to accept each day for what it brings. In my experiences, especially growing up in Tanzania, failure and the unexpected are normal. How one perceives these outcomes determines personal and social growth. I believe not knowing what is to come, yet learning to expect the best of every situation, makes for more contentment with an experience and with life in general. I don’t expect everyone to embrace this “glass half-full” mentality, but I do want my students to think about the concept during their travel and work in the wilds of eastern Africa. It was therefore surprising to me that one of my former students, Roosevelt alumna Té Monoski, shared thoughts about the transformation that resulted from our first trip to Tanzania in May 2013. Like almost all my students, Té was interested in understanding other cultures, being respectful of one another, and thinking about how we fit into the larger global environment. She and fellow student Corinna Dampf, along with the BirdLife Tanzania field team, used recorded birdcalls by a rare species known as the drongo to entice birds in the rainforest into hunting flight so that the drongo could catch insects from the birds’ wings. The data collected studying the impact of the drongo’s habitat was the foundation for publication of a paper in the international peer-reviewed journal Biological Conservation. Their study also set the stage for further evaluation of how human disturbance affects interactions among dependent rainforest species, and the integrity of habitats. Inquisitive, driven, inspiring — those are traits of the Roosevelt students I know and cherish. When I am with them, they give me energy and desire to keep learning new things and asking new questions. In the classroom prior to the trip, my students learn to become critical thinkers capable of problem solving while developing their projects at home and in executing those projects in the field. Their projects have included: understanding butterfly diversity in the forest canopy vs. ground vegetation; conducting population censuses of the rare chameleons in farms vs. the rainforest; and identifying and estimating the abundance of animals in disturbed vs. undisturbed rainforest using motion-triggered camera traps. It is awe-inspiring to see my students engaged. They learn how to work closely with local Tanzanian experts, some who speak limited English, and to eventually arrive at answers to questions their projects pose. According to May 2016 graduation speaker Najoua Alioualla, the Tanzanian learning experience demands “many skills … such as critical thinking, adaptive learning and application strategies.” She calls it a “holistic approach to learning” that teaches not only conservation biology, but also training and implementation of independent, student-designed field experiments. In the spring of 2018, I will return to Tanzania with more Roosevelt students. As always, I will make a reconnaissance visit as I did in January to plan, talk to local collaborators and field-test new project ideas. I am excited to work with an excellent team that includes Roosevelt biology professor Kelly Wentz-Hunter, who adds great depth by developing social interactions among students, and Dr. Ndangalasi, whose calmness and exuberance impart his immense passion for plants and all things Tanzanian. There will be minor obstacles, like the giant tree that fell and temporarily blocked our path. However, I will be just as excited as my students about the upcoming journey, for Roosevelt students are a different breed. They ask insightful questions and are curious, open to new ideas and people, and authentically engaged in learning and activism. I hope many will remember the motto hakuna matata when facing obstacles, as it will remind them of the resilience and flexibility they need to live in a world where each day brings the unexpected. Norbert Cordeiro is an associate professor of biology at Roosevelt University. 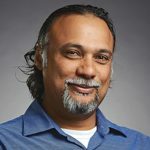 His specializations are in tropical conservation biology and ecology, and he serves as an editor for two African journals and one international journal in these fields. 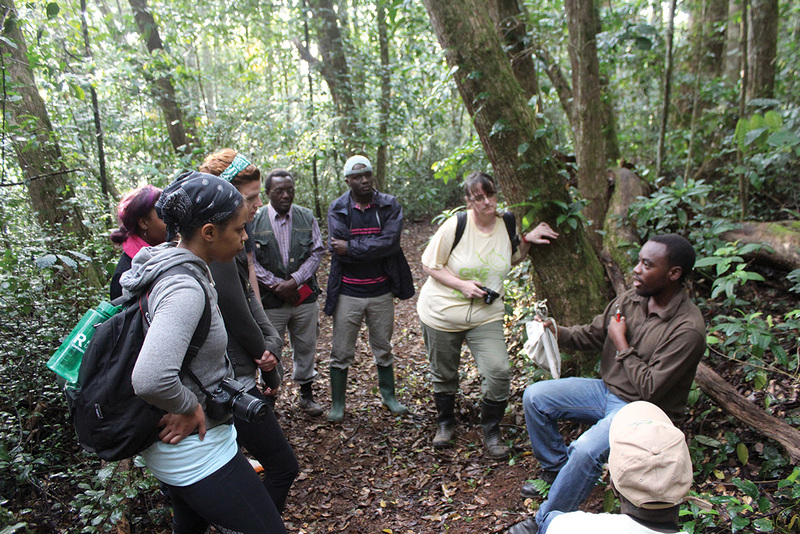 His research has focused in his native Tanzania, where he has spent the greater part of the last 27 years studying the ecology and conservation of the globally biodiverse East Usambara Mountains. His fieldwork with Roosevelt students has been possible in part thanks to student scholarships provided by Dr. Stuart Meyer (BS, ’56).